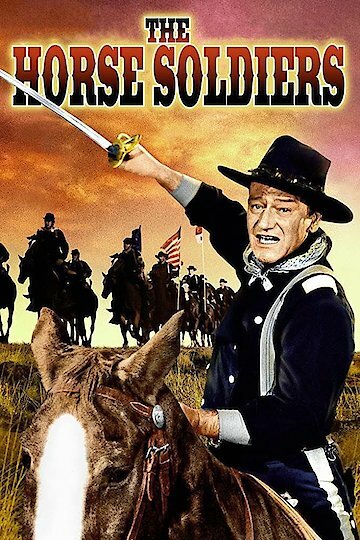 In another John Wayne film directed by John Ford, a large Union Cavalry unit is sent into Confederate territory on a sabotage mission to destroy a railroad and supply depot. The film is historical fiction based on the missions of Col. Benjamin Grierson and the Battle of Newton's Station, which led to the Confederacy's defeat in Vicksburg. The cinematography in the film is excellent with vivid sites, and locations. Music is sung by a rousing male chorus. The battle scenes are realistically civil war. Casualties are gruesome. The movie raises the question of whether war or humanitarianism should come first. Horse Soldiers is currently available to watch and stream, download, buy on demand at Amazon Prime, Starz, Amazon, Google Play, iTunes, YouTube VOD online.